9 Days ago without warning Corcoran State Prison put the building Sean is in, 3-C, on lockdown. Lockdown means that the inmates must remain in their cell all day and aren’t allowed to come out. Sean has been locked in his cell nearly 24-7 for over 9 days. I say nearly because they are allowing him to have a shower, every 72 hours is the ‘law’ although Corcoran doesn’t seem too worried about upholding their own rules most of the time. We do not know how much longer it will continue like this, no one has bothered to inform him of when this torture will end. On lockdown Sean has no phone calls home. ZERO. I have not heard his voice in 9 days. This is is the longest we have ever gone without a phone call since before we were together. Modified Program is another word for lockdown that CDCR likes to use with the families to make it sound less evil than it actually is. “Modified program” just means NO program; no yard, no day-room, no receiving necessary supplies at canteen or receiving packages (which is how Sean gets his food) no going to meals outside of the cell. Why did the prison do this? Well they like to make it sound like it’s a security issue. 9 days ago on September 11th of all days some idiots decided to start a fight on the yard and one of them ended up leaving the prison in an ambulance. So instead of simply punishing those who were actually involved, they have punished the entire building by taking away their most important connections with the outside world. Letters are still allowed but it is delayed by a week. Using an incident that happened where the individuals were contained and sent to SHU as an excuse to isolate and torture all the other inmates seems cruel and unjust. Sean did not do anything wrong, his daily existence in prison is difficult enough. Then to have this happen is extremely frustrating. CDCR claims that they value family connection, yet they use connections with family as a way to punish inmates. Do they really see this as an effective method? It would be like in a classroom setting if one student broke the rules and the teacher punished the whole class. Or if one of your co-workers screwed up and then everyone was fired for it. It makes absolutely no sense and sends a very cruel kind of message to those who were not involved in the incident. 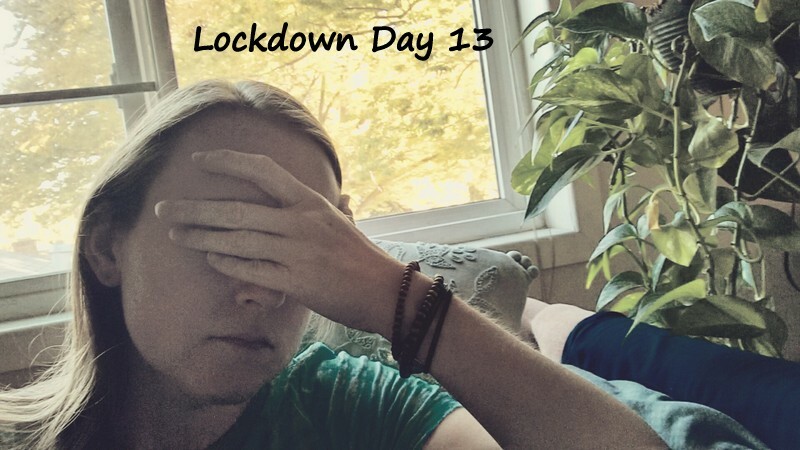 Edit: Lockdown finally ended 14 days after it had begun. I guess in the big picture lockdown is just another stupid part of being in prison and Sean has been there for 12 years. So 14 days is like nothing compared to the whole 12 years he has been wrongly convicted and serving a sentence he doesn’t deserve as an innocent man. This entry was posted in wrongful conviction and tagged JLWOP, prison relationships. Bookmark the permalink.